The Small House Society is a voice for the Small House Movement. The movement is the result of concerns about what we are doing to our environment, and what our environment is doing to us (wild fires, flooding, hurricanes), as well as a shifting economy. Some people just desire to live simply so that others can simply live. Because of this, architects and builders are now providing smaller housing alternatives. 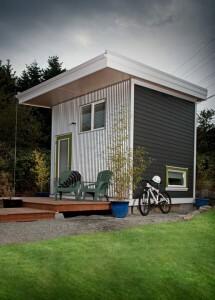 The increase in websites, books, and magazines about small houses reflect the movement’s growth. 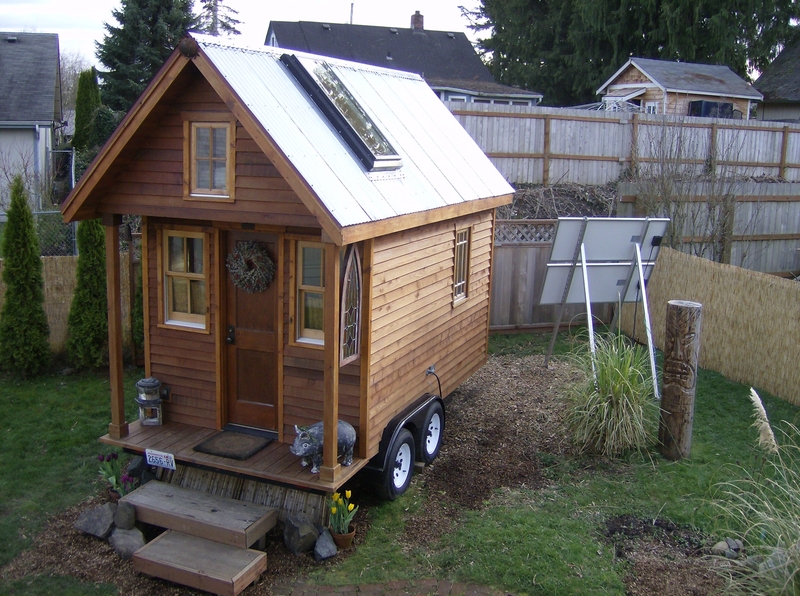 Small house dwellers include those who have moved into a smaller space or made better square feet per person use of the space they have. Members of our group might include families of five happy in an arts and crafts bungalow, multifamily housing in a variety of forms, and more extreme examples, such as people on houseboats and in trailers with just a few hundred square feet around them. Size is relative, and mainly we promote discussion about the ecological, economic and psychological toll that excessive housing takes on our lives, and what some of us are doing to live better. It’s not a movement about people claiming to be “tinier than thou” but rather people making their own choices toward simpler and smaller living however they feel best fits their life. Our desire is to support the research, development, and use of smaller living spaces that foster sustainable living for individuals, families, and communities worldwide. So what is the small house society and the tiny house movement all about? 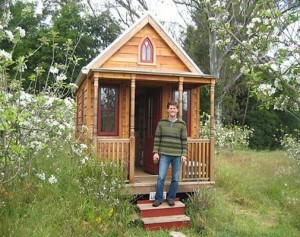 Let’s start with downsizing to a smaller house. If you want to simplify your life, one of the smartest things you can do is move into a smaller space. And that’s what the small house movement is all about – simplifying! Basically these houses keep us strapped to what we all know as the “rat race”. We’re always too busy paying high rent, the mortgage, the huge power bill and all of that stuff. And once we’re in and have kids, we’re just stuck and it’s hard to get out. It’s hard to make a change when you have an entire family, not just yourself, used to certain things. Clean transportation. Simple people like to do things that make sense. Some prefer to use bicycles instead of cars so that they save money and become healthier. But this requires choosing to live in a particular area where this is not impossible. Some of us can walk to work, others use the bus and some still use our cars. For the most part, children want to be with their families. They like to be close. If you had a younger sibling I’m sure you remember him or her always wanting to be by your side. Or maybe you can remember always wanting to be like your older brother, sister, mother or father. The point that I’m trying to make is that what really matters is not the house, but the relationships in it. Young kids are cool with just about any amount of space as long as they have some space and privacy of their own. I’ve read books where parents have converted large closets and lofts into miniature bedrooms for their small children. And the kids seemed to love it. When it comes down to it people actually enjoy spaces that they feel they can easily manage. It’s subconsciously less overwhelming and let’s them focus on the more enjoyable things in life that really matter—like family, friends and careers. A lot of people say this but every time I stay in a hotel I think to myself, “I wish I could just live in a place like this.” But it seems difficult to find an apartment, studio or house smaller than 500 square feet. 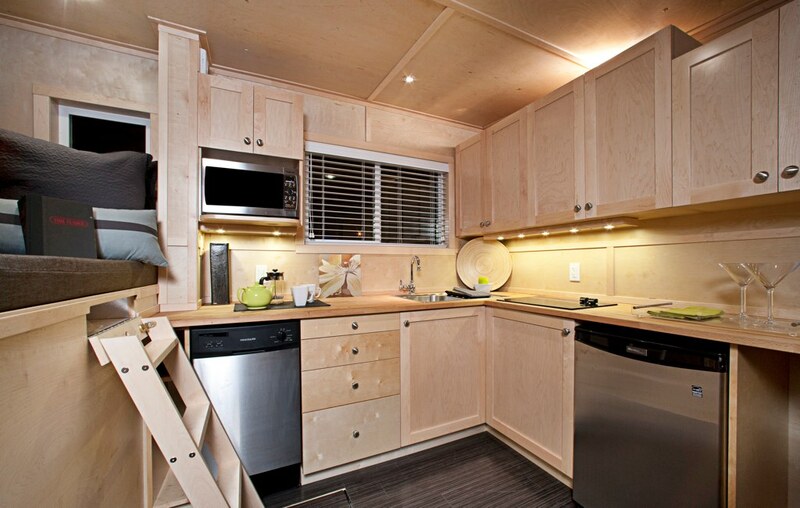 Five hundred square feet is quite comfortable—especially for two. This is one of my favorite reasons why little houses attract me. I like to keep my place clean but I don’t like cleaning. So by having just as much space as I need, I really help myself out a lot. When I went from 1200 to 500 square feet of living space, it was great because I could clean up the entire place in minutes. And with a house there’s also the exterior that you have to worry about. So again, the smaller the easier to keep up with it and the less you worry. As a result, this means more time for whatever you love. Be it family, friends, hobbies, children or all of the above. That’s right… I believe that houses as we know them right now are designed with profit in mind. And if you look at the majority of the companies we buy from in [North America], their business plans will tell you this. What’s most important? Profit. I think we’ve been lead to believe that bigger is better. It’s up to you as an individual to grow out of this and do what’s really best for your life. So bigger houses are always more profitable for companies, not for you. They use more fuel, require more materials, appliances, maintenance, etc. North America has the highest “standard of living”… but what has happened to our “quality of life”? Do you think we’ve gone too far? Are people truly happy? A house’s purpose is to provide a safe shelter and to protect us from the elements. But now it’s more of a status symbol than just a home. For most of us our houses have gone way beyond our needs. So let’s not look for people and organizations to blame, let’s start looking and acting towards solutions! This entry was posted on Thursday, April 14th, 2011 at 12:21 am	and is filed under FEATURE, MINDFUL LIVING. You can follow any responses to this entry through the RSS 2.0 feed. You can leave a response, or trackback from your own site.